LOS ANGELES, CA--(Marketwired - Dec 3, 2013) - Grammy-award winning rock band Switchfoot will release their debut feature film, Fading West, across all leading Video On Demand platforms in the U.S. on December 10, including iTunes, Amazon, Instant Video, Cable Movies on Demand, Google Play, Xbox Video, Sony Playstation, Cinemanow and Vudu with digital entertainment curator, FilmBuff. In addition, fans can request screenings of the film in a number of markets around the country in partnership with Gathr. To celebrate the release of the film, the band will perform its hit song, "Who We Are," on the Tonight Show with Jay Leno on December 10. 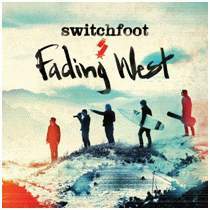 The new song is the first single from Switchfoot's forthcoming 9th studio album, also titled Fading West, to be released on Atlantic Records/Word on January 14. 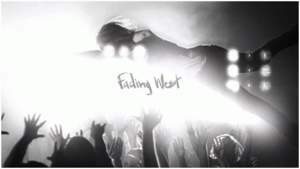 Inspired by such films as Rattle and Hum and Endless Summer, Fading West follows Switchfoot as they travel the globe in search of new musical inspiration and perfect waves. Directed by Matt Katsolis and Executive Produced by Greenlight Media & Marketing and Switchfoot, the film was shot during their 2012 World Tour and charts the creation of the San Diego-based band's upcoming ninth album in its earliest and most unpredictable stages. As Switchfoot visits legendary surf breaks in Australia, New Zealand, Africa, and Bali, brothers Jon and Tim Foreman breathe fresh life into their songwriting and sound by harnessing the spirit of their stunning surroundings and mining new emotional depths. Part rock documentary, part surf film, and part travelogue, Fading West offers rare glimpses of the longtime surfers on their boards and in the waves, captures the frenetic energy of their live shows, and in the end portrays a journey both epic and intimate. Switchfoot spent much of this fall on a 52-date tour around the country with the film serving as the opening act, followed by a stripped down, but still rocking live performance by the band. The unique experience proved a huge success with sold out shows in Los Angeles, New York (2 nights), Seattle, San Diego, Denver, Portland, Phoenix, St. Louis, and Atlanta, with overwhelmingly positive reviews from fans and critics alike. The Current at the University of Missouri in St. Louis said "Switchfoot's first effort in filmmaking was remarkably successful, exuding a sincerity and candor that initially attracted fans to Switchfoot before the awards and major hits," and the Belmont Vision at Belmont University lauded "...what the band ended up creating is more than just a film about surfing. It's a film about brotherhood, family, love, hardship, faith, travel and home." Switchfoot will hit the road again in early 2014 with dates soon to be announced. Founded in 2007, New York-based FilmBuff is the leading distributor of incomparable digital entertainment. The company draws upon its deep relationships within the film industry to curate content that consistently informs, entertains and inspires. FilmBuff designs innovative digital strategies to supply content to all on-demand outlets. Serving as a bridge between filmmakers and audiences, FilmBuff actively engages in conversations with fellow entertainment lovers through its exclusive access, original content and unique voice. Find FilmBuff content on all cable, satellite and telco services, game consoles, online retailers, wireless platforms and hardware manufacturers worldwide. Connect with FilmBuff by visiting www.filmbuff.com and via Twitter @FilmBuff.